Microsoft took some big steps to make its Azure cloud platform a more appealing place for developers, highlighted by the announcement of its Azure DocumentDB database service. Additional new products as part of the new Microsoft Data Platform include Azure Search and fully managed HBase as part of Microsoft’s HDInsight Hadoop service. As far as other cloud-provider-developed services go, DocumentDB sounds a lot more like Google’s similarly understated Cloud Datastore service than it does Amazon Web Services’ DynamoDB, which is actually more like a key-value store than a document database. Asked about selling a proprietary database service in light of Microsoft’s fairly recent shift toward embracing open source software — including MongoDB on Azure — Rengarajan said Microsoft still has “a very healthy attitude toward open source” but also looks for areas where it can create compelling value for users.” The company actually intends to release its DocumentDB client libraries into open source. Building on the work it has done with Bing, Azure Search, also available as a technology preview, is a managed search service designed to be embedded into mobile and web applications. Its most-interesting features focus on control, specifically in giving users the ability to weight factors in order to influence how results are ordered, and to optimize performance based on load. Apache HBase for HDInsight is just what it sounds like — a fully managed version of the Hadoop-based HBase datastore that runs on Microsoft’s HDInsight Hadoop platform. 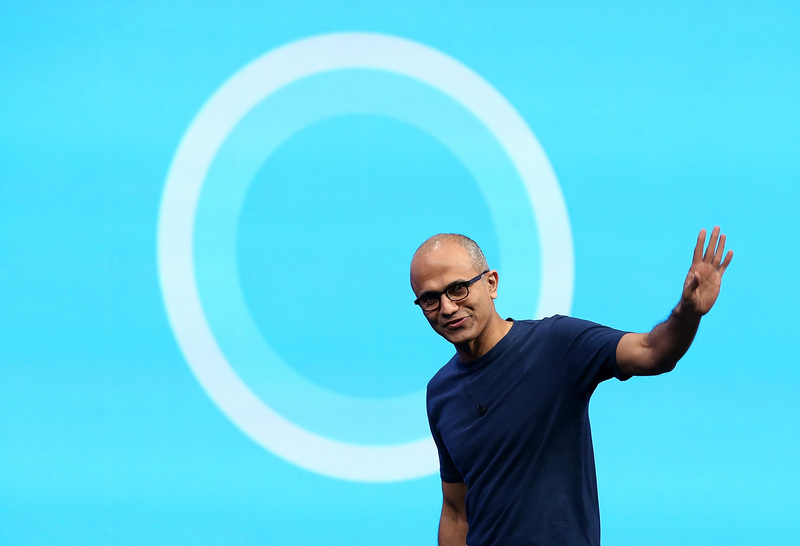 In this case, Microsoft is sticking strongly to open source software. Rengarajan cited “a very small delta” between Microsoft’s version of HBase and the core Apache version, as well as a commitment to contribute all its code back to Apache. HBase for HDInsight is generally available as of Thursday. With the fight for cloud computing dominance heating up — and with [company]Amazon Web Services[/company] for once looking vulnerable in the face of new competition from [company]Google[/company] — Microsoft is pushing the cloud as one of the pillars of its business under new CEO Satya Nadella. The company has long insisted its research division, its work building webscale systems such as Bing, and its existing enterprise software know-how would help it to thrive in cloud computing, especially as new types of data processing and new types of data-centric workloads (machine learning, for example) become more important. Thursday’s announcements are just the latest in a handful of data-focused services and features announced since Nadella took over the helm in February. Considering the hundreds of billions of dollars riding on whether Microsoft can attract new developers and retain its seat at the cloud computing adults’ table, they certainly won’t be the last. For more on Microsoft’s cloud vision and confidence, check out our podcast interview with Dave Campbell, CTO of Microsoft’s Cloud and Enterprise Group, from last August.